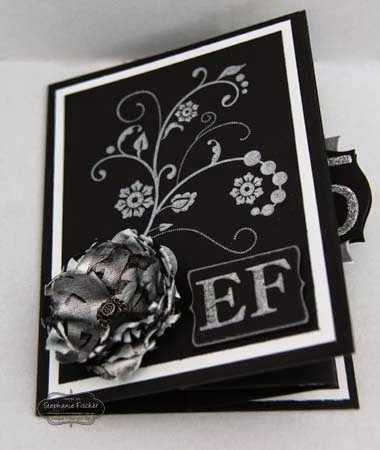 Thank you for joining us on our Crazty Crafters Blog Hop - I do hope you are enjoying the journey. 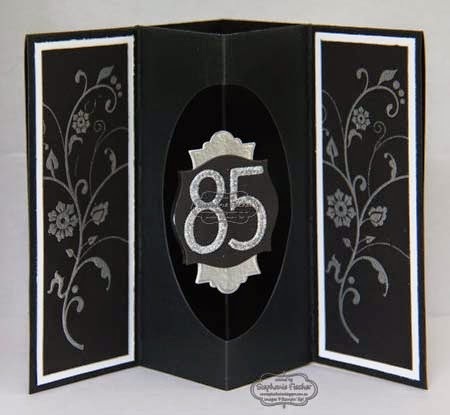 It's my Mother-in-Law's 85th birthday next week so I thought I would share the card I have made for her. We're hosting her party here at our house and I decided to use the colours black and silver to go with the party decorations. They're her favourite colours. I really enjoyed making this card and I'm sure I'll be making more suspension cards in the future - it's so much fun! Many thanks to Deb Valder at Stampladee for her excellent instructions. I should have made the suspension small enough to fit inside the card when the card is closed - but never mind .....envelope punch board to the rescue!! 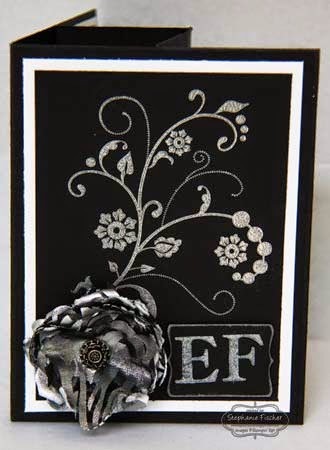 The flower has an Antique Brad centre and is made from some black and silver netting that I've had in a drawer for quite a few years now! Remember to click on the "Next" button below to hop to the next blog!